The style taught at this dojo is Yoshinkan Aikido. 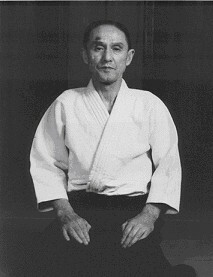 The Yoshinkan style was developed by Shioda Gozo, one of Ueshiba Sensei's best students. In 1956, as a 9th dan, he opened his dojo under the name Yoshinkan. The emphasis in Yoshinkan Aikido is on the study of fundamental movements and techniques as well as gaining philosophical insight into the conduct of life and human relationships. Yoshinkan Aikido is now taught worldwide. It is the only recognized martial art taught to the Tokyo Riot Police and Women's Branch of the Tokyo Police Force. With training and the development of solid fundamental techniques, Yoshinkan Aikido provides a very powerful means of self-defence without undue aggression.